Willie Pietersen was raised in South Africa, and received a Rhodes Scholarship to Oxford University. After practicing law, he embarked on an international business career. Over a period of twenty years he served as the CEO of multibillion-dollar businesses such as Lever Foods, Seagram USA, Tropicana and Sterling Winthrop’s Consumer Health Group. 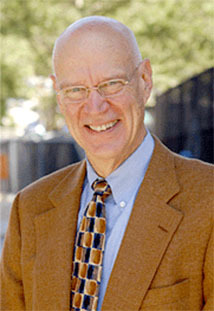 In 1998, Willie was named Professor of the Practice of Management at the Columbia University Graduate School of Business. He specializes in strategy and the leadership of change, and his methods and ideas, especially Strategic Learning, are widely applied within Columbia’s executive education programs, and also in numerous corporations. He has served as a teacher and advisor to many global companies, including Aviva, Bausch & Lomb, Boeing, Chubb Corp., Deloitte, DePuy, Electrolux, Ericsson, ExxonMobil, Henry Schein, Inc., Federal Home Loan Bank of Atlanta, Novartis, Salt River Project, SAP, UGI, United Nations Federal Credit Union and also the Girl Scouts of the USA. Willie is the author of two books and numerous articles. His latest book is Strategic Learning: How To Be Smarter Than Your Competition and Turn Key Insights Into Competitive Advantage.